This amazing Portuguese pasta with shrimp recipe (receita de massa com camarão) is very quick to make and makes a great week night meal. Cook the pasta in water with a little salt (follow directions on the package). In a skillet, heat the olive oil and combine the chopped onion, chopped garlic, the bay leaf and let it cook until the onion is translucent. Add the chopped tomatoes and sauté a little. Add the shrimp and the knorr broth cube and cook until the shrimp is cooked. 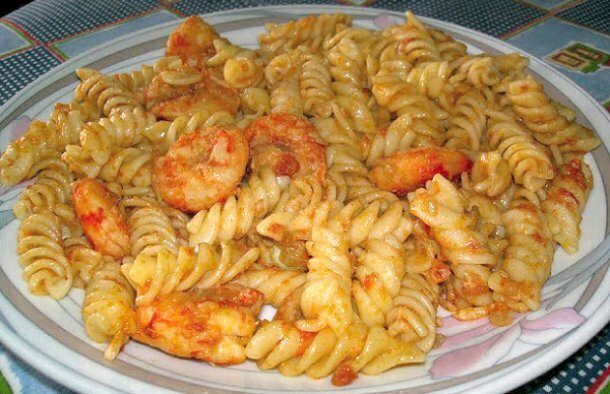 Drain the pasta, add it to a casserole dish, add the shrimp and mix very well. 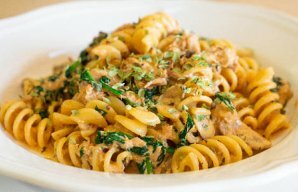 This Portuguese pasta with tuna and cream recipe (receita de massa com atum) makes an affordable, practical and delicious meal. 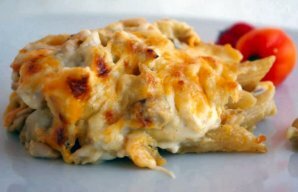 This Portuguese style penne pasta with chicken is very creamy and delicious, it does take a little while to make, but it is worth it. 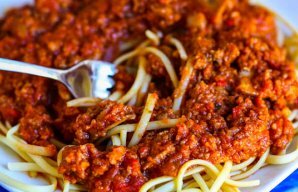 Delicious and easy to make Portuguese style spaghetti with chouriço sausage.